The Freedom Flotilla to Gaza marks a landmark shift around the central US-Israeli power axis that shaped world politics to its own ends for the past 50 years. The almost magical apparatus that alchemized the image of Israeli spotlessness out of the massacres, land theft, and systematic brutalization of the Palestinians, is developing sizable cracks. And with it, the United States’ own dependencies and addictions on the Zionist power contingent are becoming clearer and clearer. There is a complex balance of factors on each side of this geostrategic equation. The pressures building up in the Muslim world against US foreign policy are self-evident. It is critical that the civil society networks and political actors that participated and supported the Freedom Flotilla were acting on behalf of a self-identifiedIslamic movement — Hamas. And while it is true that many participants, especially the Europeans, acted on humanitarian impulses rather than ideological ones in particular, we may query — what has happened so that the Palestinians have finally become human in their eyes? A measurable difference, an observable evolution; Charles Darwin might have pricked up his ears from under the Westminster Abbey’s stone floor. 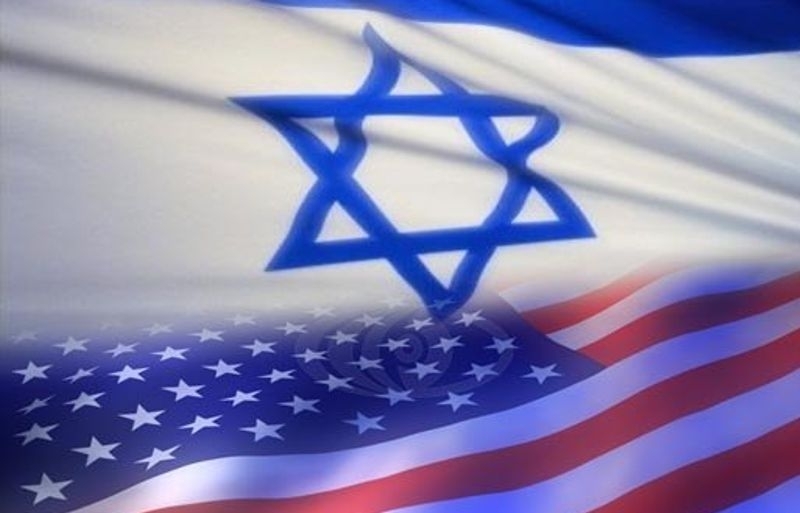 The shifts and changes occurring in the US-Israeli power axis that pressurizes the scripted presentation of world events is a vital plane of discussion. The landscape of power shifted and altered, so that the darling child of the international world order came to be seen as a hardened pariah. Recently, the media has been a-buzz on a topic of great concern to the US-Israeli power axis — the liberal American Jew’s political crisis. In the tony New York Review of Books, Peter Beinart wrote a controversial piece called The Failure of the American Jewish Establishment, investigating how younger demographics of American Jews are no longer invested in the idea of Israel. Enjoying privileged lives and social power in the US, they feel free to criticize Israel where their parents pledge unquestioning obedience and generous support from their pocket books. While the article is rather self-absorbed, concerned with the insular politics of a particular power group without considering the broader geographies of home and the world, it confirms the point that many activists have been trying to promote for decades. Jewishness doesn’t necessarily equate with Israel. Beinart paints a nightmare picture, where the young, liberal Jews who should be replenishing the ranks of pro-Zionist establishment are drifting away. Young Jews polled at top universities want an “open and frank” discussion” of Israel rather than drone obedience to AIPAC; they “desperately want peace”; and “some empathize with the plight of the Palestinians.” One can imagine the politicos at AIPAC flipping through the piece and bitterly reflecting on Kurtz and the horrors of going native. The attrition of younger Jews is of course, a demographic horror as well as a political one. Grounded as it is on Jewish tribalism, Zionism yokes Israel’s survival to the chain of generations preserving the ethnic purity of the Promised Land. If young, educated (and let’s face it, mostly Askhenazi) Jews no longer believe in Israel, then the blood and gold spilled to maintain the Jewishness of Israel will have been in vain. In short, Israel cannot replicate itself across the generational gap between the older generations of American Jews, who put Israel first out of their visceral experience of Anglo-American and European racism, and the younger ones who have a different picture of the world and happen to have Muslim friends. The idea of Israel is also becoming increasingly unhinged along the lines of race. Beinart imagines an exodus of liberal Askhenazi Jews from Israel, leaving the country in a morass of Mizrahi intolerance and fundamentalism. Certainly, racial hatreds between the European descended Askhenazi and the Middle Eastern Mizrahi Jews dates to the State of Israel’s founding. Ashkenazi policy makers have liberally used the Mizrahi to do the dirty work of ethnically cleansing Israel by funding the yeshivas and extremist settlers’ colonies (dominated by Mizrahis). Beside the Israeli military, the comparatively poorer and less educated Middle Eastern Jews, imported in to expand the Jewish demographic, are a frontline for Israel’s never-ending process of judaicizing Palestinian land. The Zionist movement’s fear of younger European and American Jews abandoning ship is a palpable one. The secret horror nursed by the American Jewish media is that an Israel not dominated by Ashkenaziscannot be sufficiently Judaic. Even though the Mizrahis routinely deploy Israel’s frontier racism against the Palestinians, the kind of function served by the cowboys and settler farmers against the Native Americans in US history, they are too ethnically close to the Arabs to be truly Jewish. The Jews living in the Middle East and Iran for centuries had developed deeply symbiotic relationships with local geographies and cultural webs. While Zionism and 20th century Arab nationalism broke apart those relationships, the Mizrahi’s darker skin and hair coloring is a visible sign of different life experiences and histories to the Askhenazis wanting to universalize the European Jewish experience. In short, the perception is that an Israel without a sizable Askhenazi population will no longer be distinguished from the sea of Arab populations in which it is ensconced. It might not even be an Israel worth expending US tax dollars on. True, the Mizrahis positioned as a buffer race between the Arabs and the Ashkenazi, demonstrate extremism toward the Palestinians that would shock the average American Jew subscribing to multiculturalism, the Democratic Party, and the New York Times. Racial hatred on the grounds of biblical entitlement, ungloved in historical-scientific theories or cultural éclat, doesn’t seem entirely civilized after all. The difference between straight vodka and an olive-decked martini, perhaps. But it is also undeniable that the older American Zionists are becoming increasingly hard-line, as well. The recent chronicles of the University of Irvine’s Muslim Student Union, a group long-familiar with the headlines, is a case in point. This is familiar language for Israeli politicians, but surely not for urbane, educated California professionals who enjoy an unparalleled level of influence in the United States and hence, the world. While the latter two acts reference the terrorizing and dehumanization of African Americans in 19th and early 20th century United States, lumping the UCI students’ stand against Oren in the same category is tarnishing by association — with a vengeance. But the university administration is hardly acting along these lines because of innate principle or because they are an inherently racist group of people. Enormous pressures from liberal American Zionists in Irvine and nationwide provoked the reaction. Soon after the February event, the Zionist Organization of Americabegan a public relations campaign designed to alarm the University by asking potential Jewish admittees to the university to apply elsewhere and important Jewish donors to stop sending funds. The heavy-handed tactics, suggestive of a chain-mailed fist on Muslims’ freedoms of speech, indicates the desperation of a bankrupt ideology. As Zionism loses ground as a bona fide political thought and nationalistic sensibility, it lashes out violently against the Muslims who are at present the only raison d’etre of its presence. Unable to reproduce itself demographically or politically, liberal American Zionism treats Muslim protests against Israeli policy as confirmation of the myth of hostile enemies waiting to swallow up the Jews. Treating student protests as an existential threat proves that it is simply not in touch with reality. No longer able to sell the idea of Israel to Jewish demographics, and split by its own internal tensions and divisions, American Zionism may find that it is increasingly forced to part with the masque of liberalism. 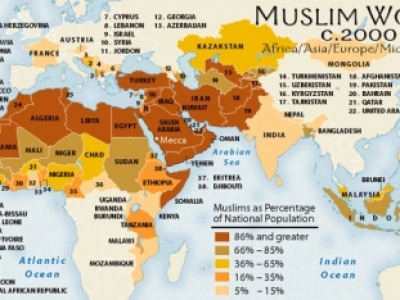 What ails the Muslim world?